The automotive industry is changing as new mobility schemes are emerging: car/ride sharing, carpooling, “e-hailing” taxi alternatives, peer-to-peer car rentals. The development of the autonomous vehicle meets these new mobility models. The LIDAR technology, with its ability to map the car’s surrounding in 3D, at 360° in real-time at a range up to 100-200 meters, is a key enabling technology of autonomous driving. 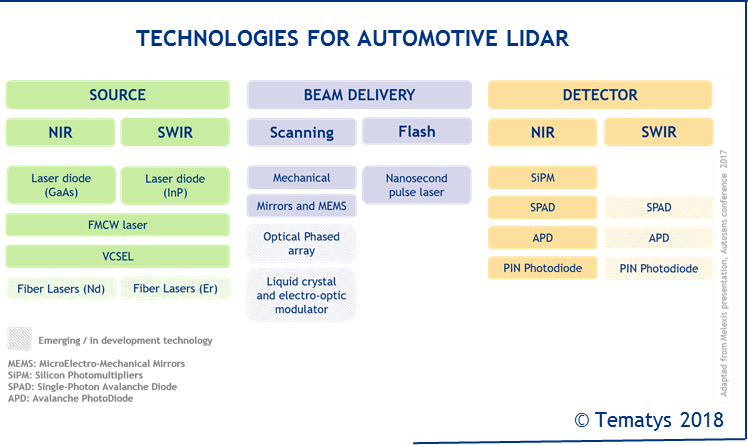 Automotive LIDARs currently attract huge investments but a question remains: among the several available technologies – mechanical scanning, flash, MEMS scanning, Optical Phased Array (OPA), etc. – which one will win the race to autonomous driving?